We're really excited to announce a customised version of WorkflowMax for the iPhone. Now you can access your jobs from almost anywhere. WorkflowMax for the iPhone allows you to keep track of your jobs, important dates and time sheets. You also have full access to your clients and suppliers which you can call with a single tap. 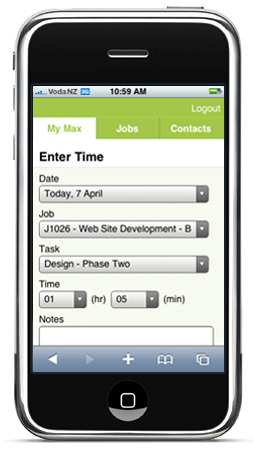 WorkflowMax for the iPhone is available to all WorkflowMax customers at no extra charge. Simply login at http://m.workflowmax.com. It's also available to all trial accounts. View your time summary, upcoming important dates and overdue milestones/tasks. 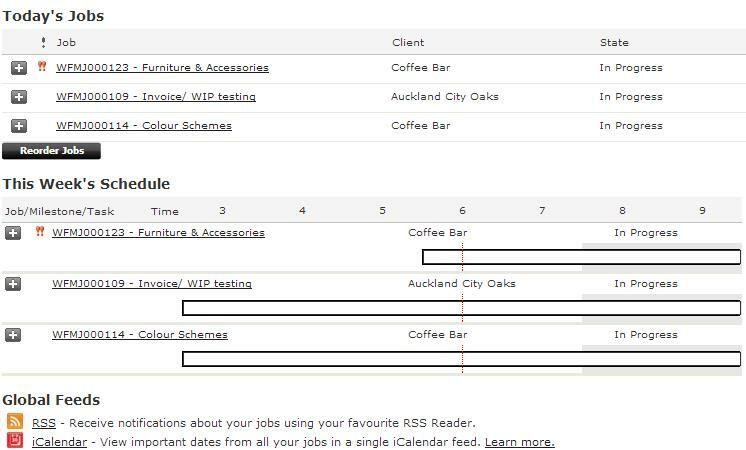 View the jobs you've been asssigned and the individual detail for each job, including milestones, tasks and notes.